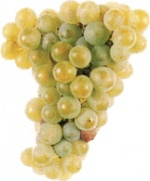 White grape of high quality, recommended at the councils of Baião, Cinfães and Resende, where is limited to this area of cultivation. Productive and rustic. It origins wines with harmonious tasty and fragrance.